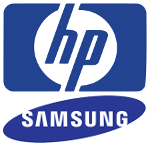 Earlier today September 12, HP Inc announced that they have reached a definitive agreement with Samsung to buy the latter's print business. Samsung's printer business includes an impressive range of A3 MFPs - our lab staff have been impressed at the innovations and the print quality - and the deal also includes Samsung's 6,500 print patents and 1,300 South-Korea-based researchers and engineers! Samsung print has a total of 6,000 staff, and this will be hived off into a separate company and sold lock, stock and drum to HP. Samsung as a whole (fridges, TVs and ships) represents about 20% of South Korea's GDP. They have been investing in print for some ten years, and have released some innovative machines. The print quality has been startlingly good - and they were the first to bring an Android-powered interface to market. We have noticed a lack of investment in the last couple of years, as Samsung's mobile phone business has taken priority in marketing budget carve-ups (since Samsung have had to face such stiff competition from Chinese competitors - particularly in Asian markets). We once wondered if Samsung might buy Sharp print. It looks like the new board at Samsung (ailing chairman Lee is handing over to his son) are minded to go the other way. The equipment part of HP is newly free and nimble, and keen to innovate. The acquisition of Samsung printing is part of a strategy to force change in the copier industry. "Copiers are outdated, complicated machines with dozens of replaceable parts requiring inefficient service and maintenance agreements," said HP in their press release to this acquisition. The Samsung print assets will certainly give HP some tools with which to innovate. Watch this space. The accounting for the sale is rather complicated - "accretive," or bit by bit - and with the requirement on Samsung to buy between 100 and 300 million dollars worth of HP shares during the pivotal 12-month period.